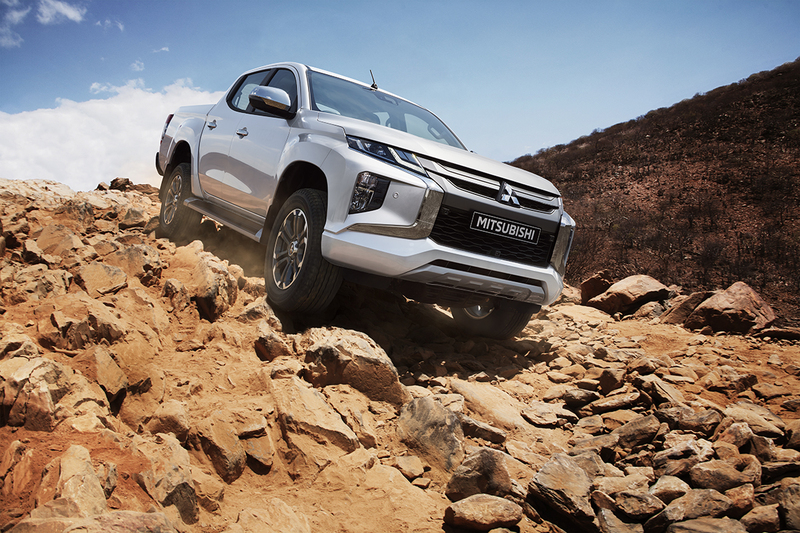 Mitsubishi have revealed the new L200, which will hit the market in Thailand on 17th November. The new version of the pick-up that is celebrating its 40th anniversary has been updated and now incorporates the new generation Dynamic Shield front styling. Tweaks to the interior are said to have made the truck more ‘modern and robust’ in feel, with frames surrounding the switch panel and air outlets, plus soft pad materials and stitching on the floor, armrests and handbrake. New L200s will come with either adaptive Super-Select 4WD or Easy-Select 4WD which simplifies the manual switching between drive modes for varying road surfaces. Both feature an off-road mode with settings for gravel, mud or snow, sand and rocks – all in low-range, of course. Hill-descent control will be fitted, too. Safety features on the new L200 consist of Forward Collision Mitigation, Blind Spot Warning, Rear Cross Traffic Alert and Ultrasonic Misacceleration Mitigation System. Larger front discs and callipers have been added in the updates, and rear dampers have been enlarged and accommodate more damping oil, giving a more planted ride. The gearbox has also switched to a six-speed automatic, up on the current five-notcher. Following it’s release in Thailand later this month, the updated L200 is set to be rolled out sequentially in the company’s markets around the world, and eventually being available in 150 countries world wide. We’ll get more information on the European spec truck in the run up to its release on the continent at the end of summer in 2019.